2 doors and 3 drawers. True salvage as it lacks a back or base. Can be built in or completed. Unbelievable cream and green patina. For other pieces and pricing see Furniture tab above or click HERE. Here is a unique and very old cabinet. 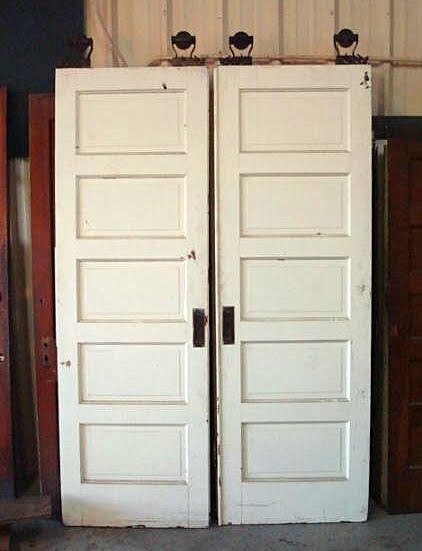 Double doors open to reveal two shelves with large enclosed bin in center, and small bin to left. Opens with old latch handle. Original knobs and bar closure in wood. Look at those old spools for knobs. This has so much personality. 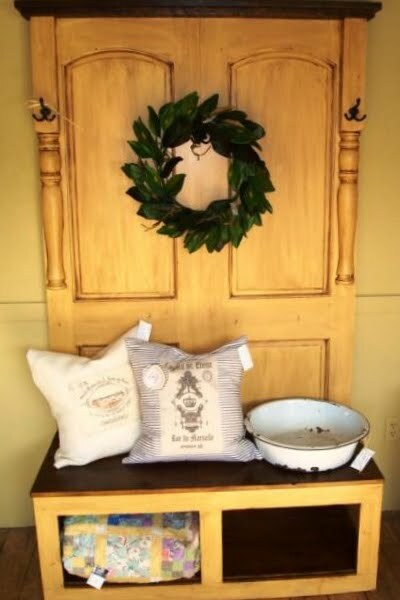 Would look great in your rustic cabin or add that vintage touch to a more modern setting. 12"D at top increases to 20"D at base. For other pieces and pricing, use Furniture tab above or click HERE. Paneled inserts and an enormous top supported by gorgeous hand hewn corbels. The edge of the counter bears the marks of a animal that chewed on it in the barn where this counter was tucked away for years. Unrestored, the paint is green with an excellent patina. Back is open. 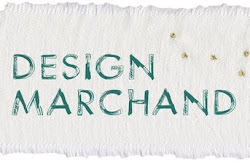 Adapt for an island in a home project or for use in a store or restaurant. For more furniture and pricing, use furniture tab above or click HERE. When we chose the name Oklahoma Barn Market we meant no disrespect to the established business of THE Barn Market also in Oklahoma. This is a business owned and operated locally by a very nice family we think highly of. The owner has an excellent eye for good salvage and antiques. 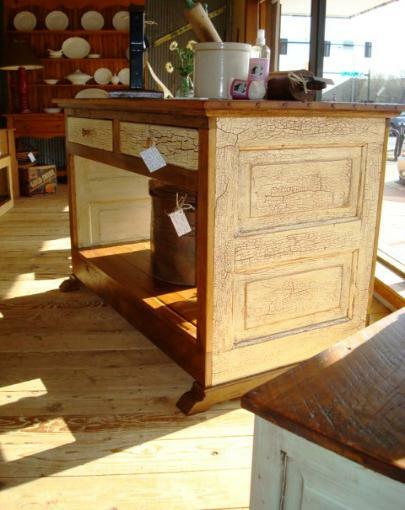 He is an excellent craftsmen and builds beautiful custom furniture. His wife makes lovely pillows and other accessories. They have a large booth in the north window area of Broadway Antique Mall in downtown Edmond, Oklahoma. 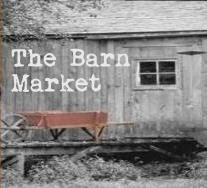 Oklahoma Barn Market blog has a button on the side to link to The Barn Market. We hope one of us has what you are looking for. This sign is metal with a unique shield shape. Excellent Patina. Both parts are attached to each other. Note: Tailor Made sign sold separately. This is a six foot tin sign, framed in wood. For information on pricing and other signs click the SIGNS tab above or click HERE. A beautiful historical piece, this long railroad bench has an armrest in the middle to create two seating areas. Raised circle decoration preserved on each end. For pricing and other pieces see tabs above or click HERE. The company was started in Springfield, Missouri in 1865 and continues there today in fourth generation management. Yellow Bonnet was their private food label. Yellow Bonnet food product labels sported this winsome girl and were for "those who cared". What a great design piece for your home or place of business. This is a large advertising tin that would sit on the floor or displayed on counter. For more information click teh Antiques tab above or click HERE. This seed bin is all original and has been left as is to show who it has been. There are 30 drawers with original bin drawer pull hardware. This back of this unit is closed which is unusual. It is truly furniture. These are very hard to come by. 40"T x 78"L x 18" D.
Pricing under Furniture tab above or HERE.